On paper, this is a really intriguing matchup. The effort was just not visibly there though so the match came off very flat and insignificant. Riddle’s matches stand out so much because they never feel ordinary or standard. They feel like they’re created by a performer genuinely working in a unique manner who rejects a majority of the crutches that wrestlers use. 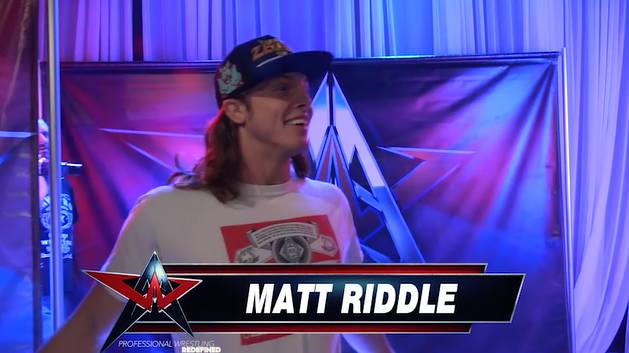 This was just too standard of a match for Riddle. This entry was posted in AAW and tagged Davey Richards, Matt Riddle on December 30, 2016 by TJ Hawke.